Antimicrobial - A chemical treatment added to carpet to reduce the growth of common bacteria, fungi, yeast, mold and mildew. Antistatic - The ability of a carpet system to dissipate an electrostatic charge before it reaches the threshold of human sensitivity. Attached Cushion - A cushioning material, such as foam, rubber, urethane, PVC, etc., adhered to the back side of a carpet to provide additional dimensional stability, thickness and padding. Average Pile Yarn Weight - Mass per unit area of the pile yarn including buried portions of the pile yarn. In the United States, it is usually expressed as ounces per square yard. • Primary backing - A woven or non-woven fabric in which the yarn is inserted by the tufting needles. • Secondary backing - Fabric laminated to the back of the carpet to increase dimensional stability. In woven carpet, the backing consists of "construction yarns" which are interwoven with the face yarn. Berber - A loop-pile carpet style tufted with thick yarn, such as wool, nylon or olefin. Often having random specks of color in contrast to a base hue, this carpet style has a full, comfortable feel, while maintaining an informal, casual look. Currently, this term has expanded to describe many level or multilevel loop carpet styles. Binding - A band or strip sewn over a carpet edge to protect, strengthen or decorate the edge. Broadloom - A term used to denote carpet produced in widths wider than 6 feet. Broadloom is usually 12 feet wide, but may also be 13 feet 6 inches and 15 feet wide. Bulked continuous filament (BCF) - Continuous strands of synthetic fiber formed into yarn bundles of a given number of filaments and texturized to increase bulk and cover. Texturizing changes the straight filaments into kinked or curled configurations. Construction - The manufacturing method (i.e., tufted, woven) and the final arrangement of fiber and backing materials as stated in its specification. Cushion - Any kind of material placed under carpet to provide softness and adequate support when it is walked upon. Carpet cushion provides a softer feel underfoot and provides added acoustical and insulation benefits and longer wear life for the carpet. In some cases, the carpet cushion is attached to the carpet when it is manufactured. Also referred to as "padding" or "underlay" although "cushion" is the preferred term. Cushion under most residential carpet should be a thickness of no greater than 7/16" and no less than 1/4" with 6 pound per cubic feet density. If the carpet is a Berber or a low profile carpet, choose a cushion of no more than 3/8" thickness with 8 pounds of density. Cut Pile - A carpet fabric in which the face is composed of cut ends of pile yarn. Cut-Loop Pile - A carpet fabric in which the face is composed of a combination of cut ends of pile yarns and loops. Delamination - Separation of the secondary backing or attached cushion from the primary backing of the carpet. Density - Refers to the amount of pile yarn in the carpet and the closeness of the tufts. In general, the denser the pile, the better the performance. Dimensional Stability - The ability of the carpet to retain its original size and shape, e.g. a secondary backing adds dimensional stability to carpet. 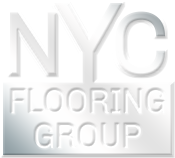 Direct Glue-Down - An installation method whereby the carpet is adhered to the floor. Double Glue-Down - An installation method whereby the carpet cushion is first adhered to the floor with an adhesive, and the carpet is then glued to the cushion. Filament - A single continuous strand of natural or synthetic fiber. Finished Yarn Weight - Yarn weight in ounces/square yard of a finished (after manufacturing process) carpet. The finished yarn weight is determined by removing all yarn from the finished carpet and dissolving any foreign non-yarn materials. Fluffing - Appearance on carpet surface of loose fiber fragments left during manufacture; not a defect, but a characteristic that disappears after carpet use and vacuuming. Sometimes called "fuzzing" or "shedding." Frieze - Pronounced "free-zay," this tightly twisted yarn gives carpet a rough, nubby appearance. Fuzzing - Hairy effect on fabric surface caused by fibers slipping out of the yarn with wear or wet cleaning. Gauge - The distance between two needle points expressed in fractions of an inch. Applies to both knitting and tufting. Hand - The tactile aesthetic qualities of carpet and textiles, how it feels to the hand. Heat Setting - The process that sets the twist by heat or steam, enabling yarns to hold their twist over time. Important in cut pile carpet. Most nylon, olefin and polyester cut pile carpets are heat-set. Indoor/Outdoor Carpet - A term synonymous with outdoor carpet. Level Loop - The pile loops are of substantially the same height and uncut, making a smooth, level surface. Loop Pile - Carpet style having a pile surface consisting of uncut loops. May be woven or tufted. Also called “round wire” in woven carpet terminology. Luster - Brightness or sheen of fibers, yarns, carpet or fabrics. Miter Joint - A junction of two pieces of carpet (or other material) at an angle. Most miter joints involve pieces at right angles to one another with their ends cut at 45 degrees to form the joint. Pile - The visible surface of carpet consisting of yarn tufts in loop and/or cut configuration. Sometimes called "face" or "nap". Pile Crush - Loss of pile thickness due to compression and bending of tufts caused by traffic and heavy furniture. The tufts collapse into the air space between them. This may be irreversible if the yarn has inadequate resilience or the pile has insufficient density for the traffic load. Frequent vacuuming will lift the pile for longer carpet life. Pilling - A condition of the carpet face (which may occur from heavy traffic) in which fibers from different tufts become entangled with one another, forming tangled masses of fibers. Pills may be cut off with scissors. Plush - Luxuriously smooth-textured carpet surface in which individual tufts are only minimally visible and the overall visual effect is that of a single level of yarn ends. This finish is normally achieved only on cut-pile carpet produced from spun yarns by brushing and shearing. Sometimes called "velvet-plush." Ply - 1. A single-end component in a plied yarn. 2. The number that tells how many single ends have been ply-twisted together to form a plied yarn, e.g., two-ply or three-ply. Power Stretcher - A carpet installation tool used to stretch carpet for installation with a tackless strip. According to industry standards, residential carpet, installed over A cushion with a tackless strip, must be power-stretched to prevent wrinkles and ripples. Resilience - Ability of carpet pile or cushion to recover original appearance and thickness after being subjected to compressive forces or crushing under traffic. Saxony - A cut-pile carpet texture with twisted yarns in a relatively dense, erect configuration. The effect is well-defined tuft tips. Seams - In a carpet installation, the line formed by joining the edges of two pieces of carpet by the use of seaming tapes, hand sewing or other techniques. Seam Sealing - A procedure in which a continuous bead of adhesive is applied to the trimmed edges of carpet to be joined at a seam. Seam sealing prevents fraying and unraveling at the seam. Serging - A method of finishing edges of area rugs by use of heavy, colored yarn sewn around the edges in a close, overcast stitch. Shading - A change in the appearance of a carpet due to localized distortions in the orientation of the fibers, tufts or loops. Shading is not a change in color or hue, but a difference in light reflection. Sisal - A carpet style mimicking the woven look of rugs made from a natural plant fiber. The pattern has the appearance of interwoven webs but is created on a tufting machine by continually adjusting the height of each pile yarn. Soil Retardant - A chemical finish applied to fibers or carpet surfaces that inhibits the attachment of soil. Sprouting - Protrusion of individual tuft or yarn ends above the pile surface. May be clipped with scissors. Staple - Short lengths of fiber that may be converted into spun yarns by textile yarn spinning processes. These spun yarns are also called "staple" yarns. For carpet yarns spun on the common, modified worsted systems, most staple is six to eight inches long. Staple fiber may also be converted directly into non-woven fabrics, such as needle punched carpet. Stitches - Stitches per inch. Number of yarn tufts per running inch of a single tuft row in tufted carpet. Stretch-In - Installation procedure for installing carpet over a separate cushion using a tackless strip; properly performed with a power stretcher. Tackless Strip - Wood or metal strips fastened to the floor near the walls of a room containing either two or three rows of pins angled toward the walls on which the carpet backing is stretched and secured in a stretch-in installation. Tuft Bind - Force required to pull a tuft from the carpet. Tufted - Carpet manufactured by the insertion of tufts of yarn through a carpet-backing fabric, creating a pile surface of cut and/or loop ends. Twist - The winding of the yarn around itself. Should be neat and well-defined. A tighter twist provides enhanced durability. Underlay - Carpet cushion under rugs. Woven - Carpet produced on a weaving loom in which the lengthwise yarns and widthwise yarns are interlaced to form the fabric, including the face and the backing. Yarn Ply - The number of single yarns twisted together to form a plied yarn.